Crop rotation structures planting so that the soil remains fertile and the crops are as abundant as possible. In most cases, the rotation requires that each field produce a different crop every year or be left uncultivated. 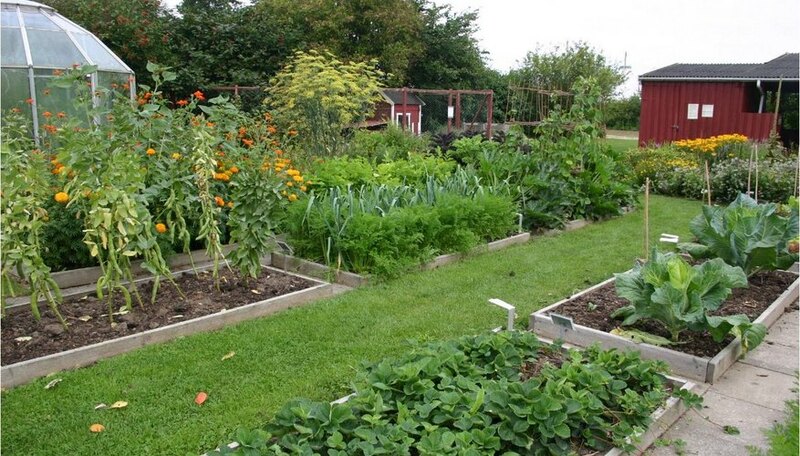 Crop rotation also reduces erosion, insect infestations and weeds. Although this agricultural method is nearly as old as human civilization, modern-day organic farmers continue to rely on it in lieu of chemical fertilizers and pesticides. Farmers in ancient Rome used a plant rotation called "food, feed, and fallow" in which the land was divided into three sections. Every year, one plot was used to grow a food crop such as wheat; another was planted in oats or barley for livestock feed; and the third remained fallow, or unused, in order to replenish its nutrients. The farmers normally reaped only six to 10 times the amount of seed they had planted. They kept one-sixth to one-tenth of the crops for the next year's sowing. Since the yields were low, not much was stored for future use. When crops failed due to flooding, drought or insects, people often starved. The Native Americans used a variety of agricultural methods. In "three sisters" agriculture, for example, corn, beans and squash were grown in the same area to enhance plant growth. Bean vines grew on the corn stalks and increased the soil's nitrogen. The squash decreased the amount of weeds with its extensive ground cover. It is estimated that growing these three crops together increased crop productivity by 30 percent or more. In the Middle Ages, the lord of the manor gave his serfs land for growing crops. In return, the serfs or peasants had to repay the landowner with food and labor. The church demanded another 10 percent of all foods raised. The serfs would be given a specific number of days to farm the land. During this time, the land would be enclosed to keep the cattle out of the fields. After the crops were harvested, the land was again available for the domestic animals. This method, called the "open field system," was not a practical way to enrich the soil. On other farms during this time, the landlords used the three- or four-crop rotation, alternately devoting each field to wheat, barley and fallowness. This was much more advantageous. In the mid-1700s, Viscount Charles "Turnip" Townshend introduced to England a new method of crop rotation that created much larger yields. He divided his acres into the four fields of ryegrass or clover; wheat; oats or barley; and turnips. The livestock grazed on the ryegrass or clover. The clover, with its nitrogen-rich structure, was much more nutritious than regular grass. The animals' manure was plowed back into the land as fertilizer. In this system, all fields were used to produce either food or feed, increasing both the grain yields and the productivity of livestock. By 1800, many European farmers had started following Townshend's example. History has show what happens when land is not used appropriately. In the United States during the 1930s, the prairie soil had become a "dust bowl," dry and void of critical nutrients from being used year after year. Also, present-day South American and African farmers have used the "slash and burn" rotation system, where the rich tropical forests are destroyed in order to grow crops. This method can be used without negative results only when the plots remain small in comparison to the adjoining rain forests and if the land has time to recover between plantings. Instead, major slash-and-burn efforts permanently destroy the ecosystems. By the 1950s most countries had stopped using crop rotation and were instead relying on chemical fertilizers, weed killers and pesticides. Recently, increasing concerns about these chemicals' effects on both the soil and human health have encouraged many farmers to once again use more natural approaches, such as crop rotation and organic rather than chemical soil enhancement. What Are Some of the Risks of Planting a Monoculture?